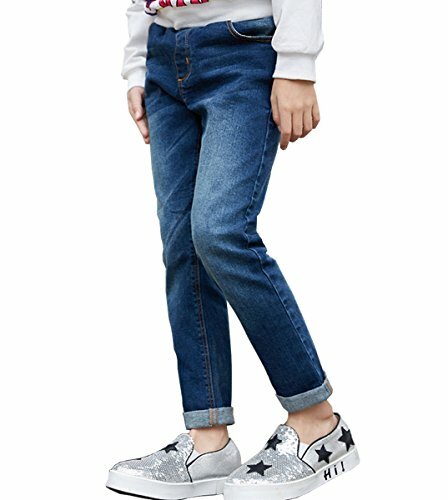 NABER Kids Girls' Casual Elastic Waist Denim Washed Jeans Size 9-10 Years | What Should I Say? Customer Service:Please contact us if you have any issues or dissatisfactions with your purchase. We will respond within 24 hours. Suit for the toddlers,big girls and boys.itis unisexy design,simply and suitable. Machine or hand wash. With 7 pockets in front and back.false slip in front. It is estimated to arrive in about half a month,so don't worry about it.Please select Nabermall,our clothes have quality assurance,as well as perfect after-sales service. If you have any questions about this product by NABER, contact us by completing and submitting the form below. If you are looking for a specif part number, please include it with your message.